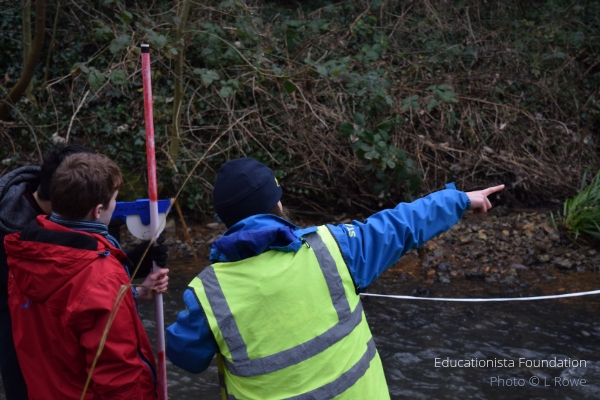 PGL offer Geography Field Trips to their centres to help 14-17 year olds studying Geography experience hands- on fieldwork in preparation for their GCSE/IGCSE exams. We are hoping to look at River and Coastal Environments. The young people will be doing approximately 50% Geography and 50% PGL activities. Alongside this trip, we are also running a PGL multi-activity trip which you may book on here. Due to transportation capacity, there are no adult spaces available on this trip. We will take unaccompanied students aged 13yr+ on this field trip. Please join the Educationista Facebook Group to follow the discussion on this trip. You are responsible for transporting your teen to and from PGL Osmington Bay. If you are interested in being a responsible adult for unaccompanied children aged 13rs+ and hold (or are willing to obtain) an enhanced DBS certificate and have a people-carrier sized car that you are willing to use for the field trip (or bigger) then please contact us. This is also an ideal opportunity for home-ed teens to get together and socialise over lots of fun activities. For unaccompanied students (eg students whose parents are not on the multi-activity trip), there will be a £2 contribution towards insurance. An initial deposit of £43.20 per person will be required by 20 February 2019. A further instalment of £55.20 per person will be required by 14 April 2019. The remaining balance is required by 30th September 2019. The deposits and instalments are non-refundable unless someone is able to fill your space. Please do not send payment without first booking on! There are two concurrent PGL trips – please use the right payment reference!